This section contains articles about Mission Planning; creating automated missions that will run when the ArduPilot is set to AUTO mode. 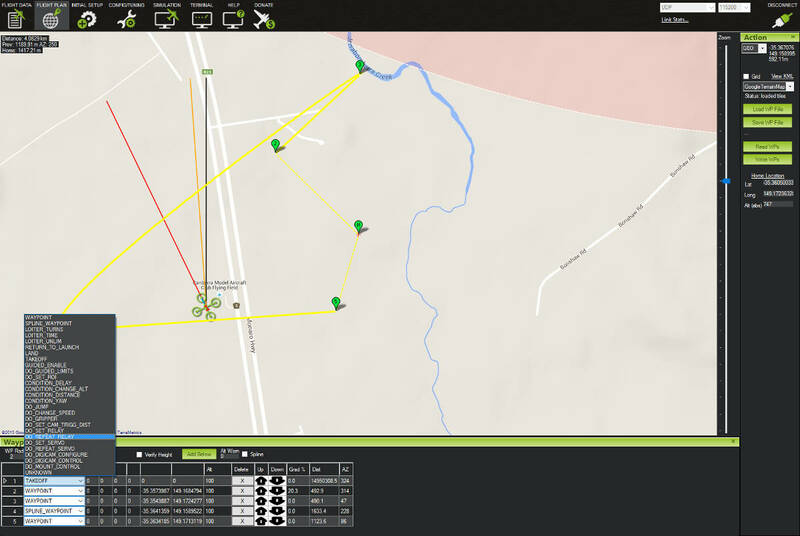 The examples demonstrate mission planning using Mission Planner, a fully-functioned Windows-based Ground Control Station (GCS) that you can download and install from here. The main concepts will also apply to other Ground Control Stations (although the details of the user interface will differ).